Ever Wonder What Goes on Inside a Spectrometer? It’s a good question, and the complete answer can escape even the most seasoned researcher. The photons used in spectroscopy encounter many components and undergo a variety of processes before registering as a spectrum. What exactly happens to these photons once they enter the optical bench? Let’s look at their journey inside a spectrometer. 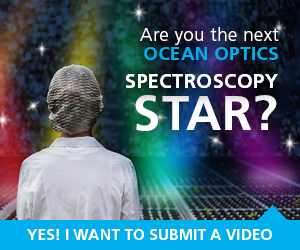 Find out more about Ocean Optics spectroscopy solutions.